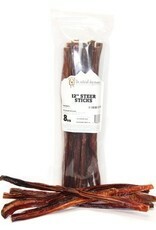 Available individually or in a cost-effective 8oz value bag that contains about 9 steer sticks. 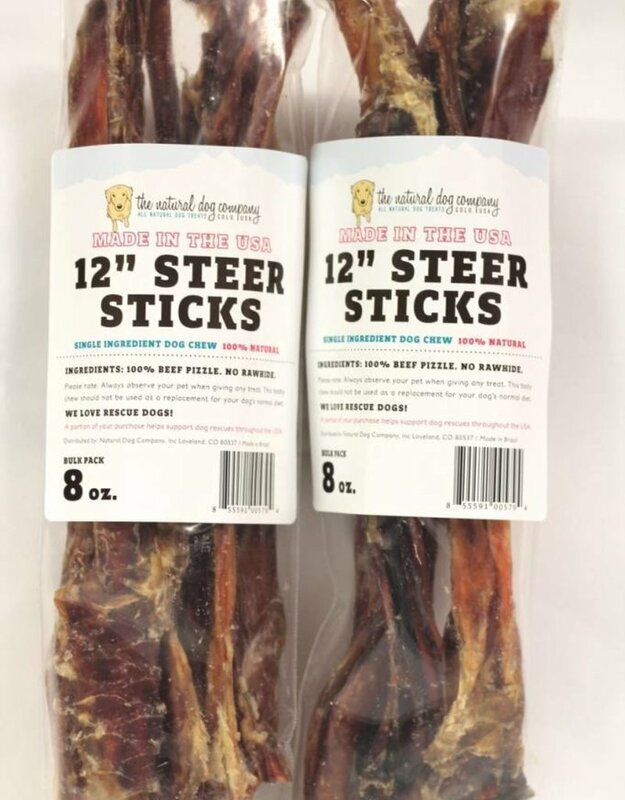 The Natural Dog Company is a small, family-run company located in the foothills of the Rocky Mountains in Loveland, Colorado. 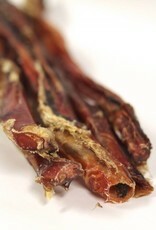 They source and produce exceptional quality animal-part products. 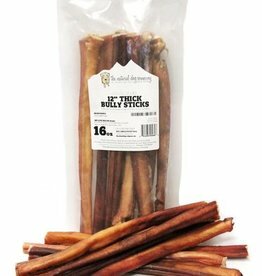 When it comes to bully sticks, marrow bones and other animal part treats, The Natural Dog Company is our best seller! 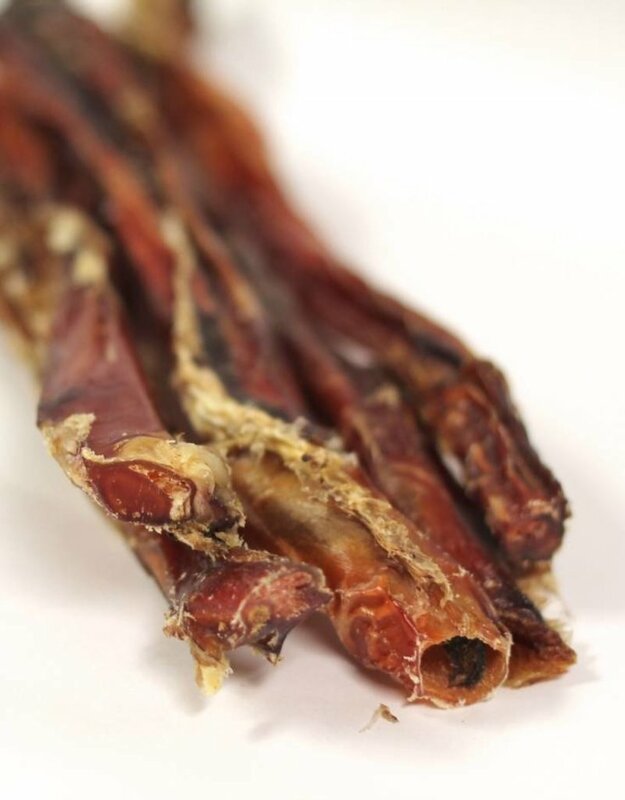 Since the majority of USA cattle are grain fed and castrated at an early age, their pizzles tend to be smaller and crunchier than their South American (free-ranging and kept intact) counterparts. 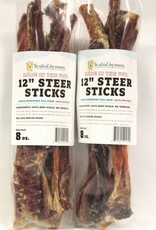 Steer sticks from grain fed USA cattle will be higher in fat compared to our bully sticks sourced from grass fed South American bulls - but this just makes it all the more tasty! 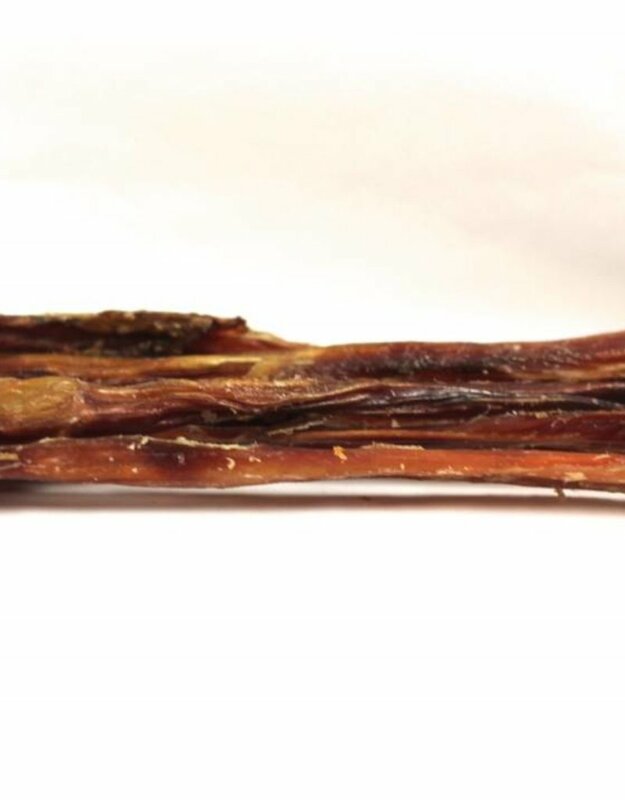 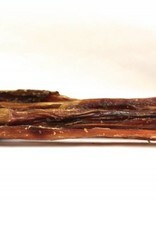 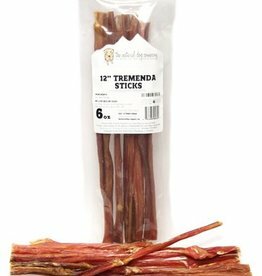 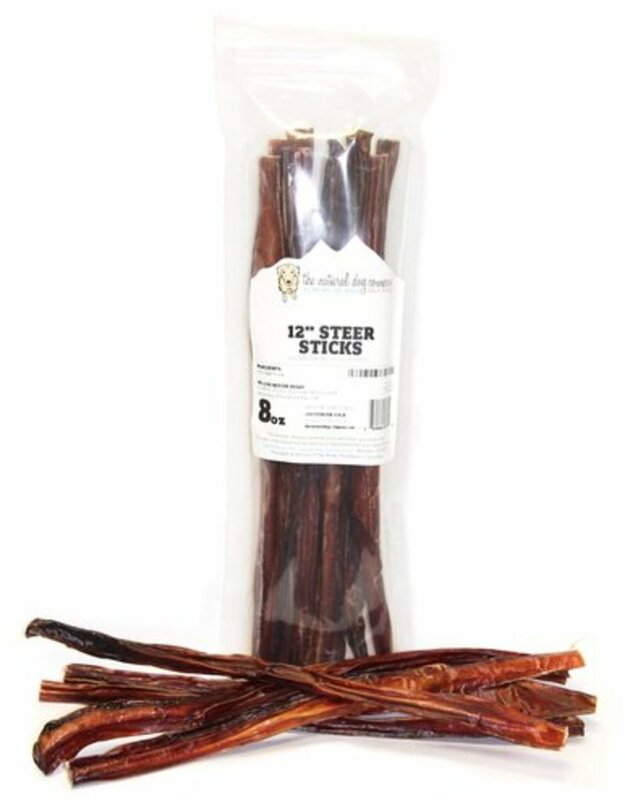 These steer sticks aren't as durable as a traditional 12 inch standard bully stick, but it's still packed with flavor and can be a long-lasting chew for young puppies and small breeds. 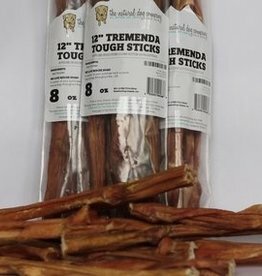 Please choose a size you think is most appropriate for your dog and her chewing habits. 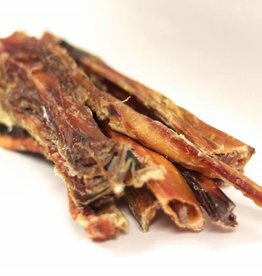 And, because chewing styles vary greatly among dog breeds, you should always supervise your dog while (s)he is chewing ANY treat or toy.